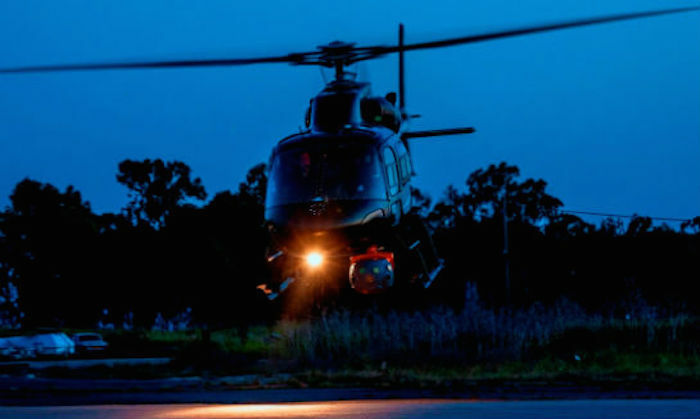 Elbit Systems performed a series of successful demonstration flights using the BrightNite system, a solution that enables utility helicopters to successfully perform degraded visual environment (DVE) missions in more than 90 percent of the nights. The goal of the flights was to demonstrate the systems’ performance in DVE conditions, in moonless, pitch dark nights, in which flights are rarely executed. Dozens of pilots from a variety of air forces around the globe participated in the demo flights, which took place in Israel. Installed onboard an Airbus twin-star helicopter for the demo, the BrightNite system provided the pilots with night-piloting capabilities similar and even exceeding to those of attack helicopters. In the sorties that took place during the demonstration flights, the feedback was extremely positive and the pilots emphasized the contribution of the system to flight. Lightweight, compact and cost-effective, BrightNite is a multi-spectral end-to-end panoramic piloting solution that delivers the essential data directly to both eyes of the pilot, enabling intuitive flight in a head-up, eyes-out orientation in pitch dark and other DVE conditions. The BrightNite unique solution is comprised of non-gimbaled uncooled FLIR and highly sensitive complementary metal-oxide semiconductor sensors that present an ultra-wide field of regard intuitive image to a display system, which projects to the HDTS, Elbit System’s most common aviator's night vision imaging system/head-up displays helmet-mounted display with line of sight capabilities. The display is overlaid by a synthetic layer that follows the contours of the landscape and a third layer of 3D mission conformal symbology, which displays hazards, mission conformal symbology and tactical data. Multiple crew-members can simultaneously scan the entire field of regard, using a single sensor and the synthetic world, enabling them to fly any night and at all nights. Low-flying aircraft are especially vulnerable to threats such as difficult terrain, enemy fire and the intersection of utility wires in the flight path. Sorties must often be carried out in a DVE, adding to the already heavy workload and leaving flight crews to rely on night vision goggles to accomplish their mission. Factors limiting the pilots’ field of view include: complete darkness, poor weather conditions, brownouts, whiteouts and sandstorms. According to the U.S. Army Aviation, there is a problem with spatial disorientation while operating in degraded visual environments. Historically, approximately 20 percent of all Class A and B mishaps have been attributed directly to spatial disorientation or loss of situational awareness in DVE, but the issue remains far from solution. 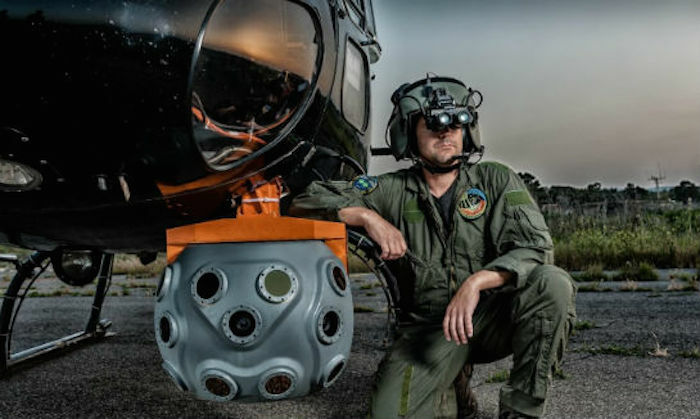 Elbit Systems’ BrightNite overcomes these visibility limitations and greatly improves situational awareness, mission effectiveness and above all — flight safety in DVE. The system processes real-time panorama video, enhanced by a 3D conformal mission symbology concept and transmits high resolution video to the HMD. BrightNite utilizes unified location-based information culled from a wide FOV to display crystal clear images, in zero visibility and zero latency, enabling helicopters to successfully execute missions in more than 90 percent of the nights.